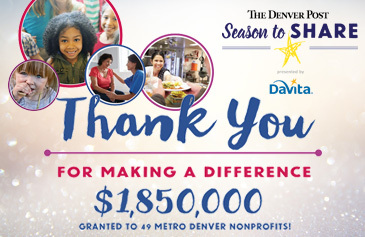 Thank you to all who generously donated to the 2018/19 Denver Post Season To Share presented by DaVita holiday fundraising campaign. Your gifts will make a difference in the lives of thousands, supporting metro Denver nonprofit agencies serving the areas of children and youth, health and wellness, homelessness and hunger. The 54 agencies who will benefit from your kindness will be announced in early April. The Denver Post ACTS – Assisting the Community Through Service, employee volunteers with their family and friends have been busy over the summer. Signing up once again to be part of the AMP the Cause Community Day, the team selected the Ronald McDonald House – Denver as the location of service. After making hundreds of peanut butter and jelly sandwiches and putting together readily available to-go grab bags, the ACTS group deep cleaned the house from front to back. The Denver Public Library Friends Foundation’s Summer Used Book Sale was the next project of re-sorting thousands of books getting everything ready for the popular public sale. The last ACTS project of the summer was collecting school supplies for the Stuff the Bus campaign for homeless students attending a Denver Public School. MEED (Minority Enterprise & Educational Development) organizes this drive to collect backpacks and school supplies each year and distributes the supplies in the fall. 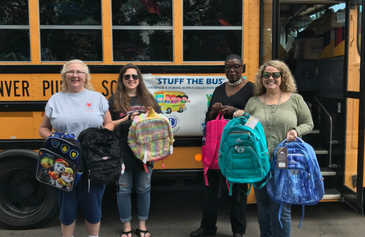 Thanks to the creativity of the three employees pictured on the left and their team, the Stuff the Bus Carnival took place to raise money to purchase school supplies. Denver Post employees generously donated over $1,700 through this Carnival. With additional supplies donated from employees, well over $2,000 was spent on much needed supplies for less fortunate students. For six beautiful days in June, more than 2,000 cyclists navigated through the Rocky Mountains taking in the views from their bikes. 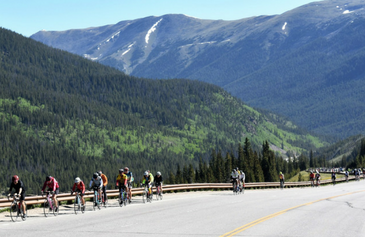 The 2018 Denver Post Ride The Rockies Bicycle Tour presented by Flexential, was held June 10 – 15 and took cyclists through the host communities of Breckenridge, Edwards, Steamboat Springs, Grand Lake and Winter Park. The 33rd Annual Tour was planned as a Loop Route close to the I-70 corridor, to make it more accessible to riders on and off the bike. This Tour included 418 miles and added 25,935′ of elevation for the riders. Prior to the Tour, the 9th Annual RTR Prologue Experience, a premier fundraiser for The Denver Post Community Foundation, took place with participants riding alongside celebrity cyclists over Hoosier Pass into Fairplay, all while discovering the gold rush in the restored mining town of South Park City and touring the Old Country Boy Mine, one of the largest and most famous gold mines in Breckenridge. Throughout the Tour each year, Ride The Rockies and The Denver Post Community Foundation are proud to grant $5,000 to a deserving nonprofit organization in each of the host communities. You can see the recipients from 2018 in the Grant Corner section below. The 2018 Tour had 48 states represented and had four riders from Jersey, a smallisland in the English Channel. The eldest RTR cyclist was 84 years old and there were seven others over the age of 80! The youngest participants (there were four) were 9 years of age. The dates for 2019 have already been announced, June 8 -15, 2019. Proceeds from Ride The Rockies benefit The Denver Post Community Foundation. To view photos from the 2018 Tour, click here. For more information about Ride The Rockies, click here. For the month of July, The Denver Post ACTS (Assisting the Community Through Service) employee volunteers gathered and donated school supplies to benefit MEED – Minority Enterprise & Educational Development – for homeless students attending a Denver Public School in the fall. This year Chatton, Bonnie, Connie and their team put on a Stuff The Bus Carnival which brought employees together to have fun while helping students in need. With more than $1,700 in donations raised, the shopping was plentiful and it took a Chevy Suburban and a Grand Cherokee to deliver everything to the actual School Bus. We are grateful to everyone who donated these much needed backpacks and school supplies! The Denver Post Community Foundation is so grateful to the Colorado Automobile Dealers Association (CADA), presenting sponsor UMB Bank and everyone who made the 10th Annual Preview Gala possible. 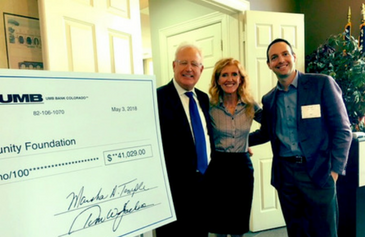 On Thursday, May 3, a check in the amount of $41,029.00 was presented to Tracy Ulmer, President and CEO of The Denver Post Community Foundation, pictured here with Tim Jackson, President and CEO of CADA (on the left) and Paul Williamson, President and Regional CEO of UMB Bank (on the right.) This donation will help improve and enrich the lives of many in our community. The Denver Post ACTS (Assisting the Community Through Service) employee volunteer projects were announced earlier this year. 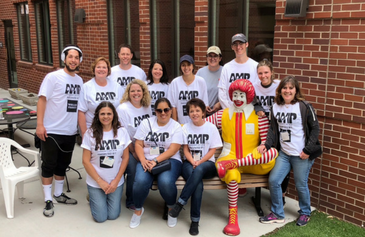 To kick off the program, volunteers will participate in AMP the Cause’s Community Day on Saturday, May 12 and will spend the day at the Ronald McDonald House – Denver putting together Grab and Go snack bags for out of town families and deep cleaning furniture and toys for the safety of all guests. 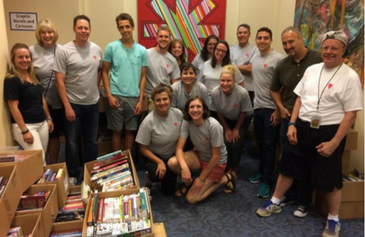 In June, Denver Post ACTS volunteers will help set up the Used Book Sale for the Denver Public Library Friends Foundation. In July, employees will participate in the annual Stuff The Bus school supply drive for Denver Public School students experiencing homelessness. In November, Denver Post ACTS will visit Food Bank of The Rockies to package thousands of pounds of food for families and individuals in need, and closing out 2018 our volunteers will donate their time at Basket of Joy, packaging and delivering fruit baskets to isolated seniors in our community. For more information and to see our Denver Post ACTS photo gallery, click here. Thanks to more than 4,200 donors and a generous DaVita matching grant, over $1,850,000 was granted in March to 49 local nonprofit organizations, working to nourish those who experience hunger, protect children and families in need with medical care, prepare children and youth for success in the classroom and in life, and house families and individuals in need of a permanent home. On March 15, 2018, DaVita hosted a spectacular Season To Share Gala for the 2017/18 grantees at their headquarters in downtown Denver. The evening highlighted the important work of these deserving nonprofits and welcomed the nationally known British photographer Platon, as the guest speaker. To view the full list of 2017/18 Denver Post Season To Share presented by DaVita grantees,click here. Save the Date! The 2018/19 campaign will run from November 1 – December 31, 2018. For local nonprofit agencies that are interested applying for a Season To Share grant, we will be accepting Letters of Inquiry from those fitting our guidelines from May 15 – June 30, 2018, click here for more information on our Season To Share guidelines. 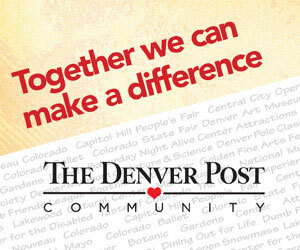 Season To Share is a program of The Denver Post Community Foundation. For more information, click here. The 30th Annual Champagne Cascade event took place on Sunday, November 19 in front of a sold out VIP crowd and enthusiastic onlookers. With both The Brown Palace and The Denver Post celebrating their 125th year in business, this year’s event had quite a bit of history under one roof. 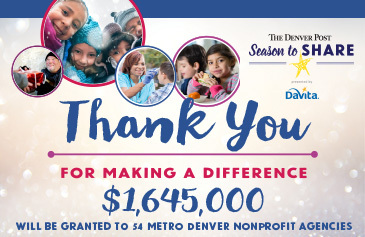 This holiday tradition will make a lasting impact on our Denver community, with a donation in the amount of $31,750 to The Denver Post Season To Share presented by DaVita. Guests of the event were treated to a “pop up” museum full of 125 years of history between The Brown and The Post. For more photos of this spectacular event, click here. 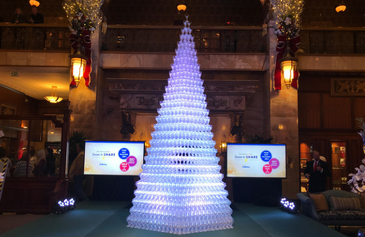 We are honored and humbled by the support of this year’s Champagne Cascade event at The Brown Palace Hotel and Spa. On Saturday, November 18 the Trans-Siberian Orchestra presented a generous $18,075 check to The Denver Post Season To Share presented by DaVita, a program of The Denver Post Community Foundation. This donation will help support more than 45 nonprofit organizations focusing on children and youth, health and wellness, homelessness, and hunger programs in Metro Denver. TSO donated $1 from each of their ticket sales to help make a difference in the lives of others. 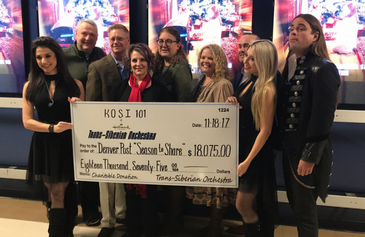 Pictured above with the Trans-Siberian Orchestra performers Jodi, Ashley and Andrew, are Murphy Huston, Jackie Selby and Sean Henry from KOSI 101.1; Carol Cline and Stacy Schafer from The Denver Post Community Foundation; and Nic Eliason from DaVita. We are so grateful for this generous support from the Trans-Siberian Orchestra! 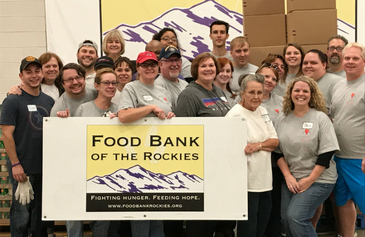 On Saturday, November 4, 23 Denver Post, Ad Taxi and Digital First Media ACTS (Assisting the Community Through Service) employee volunteers, with their family and friends, spent their morning volunteering at Food Bank of the Rockies. The dedicated group packaged more than 7,000lbs of food for more than 5,500 families (22,000 individuals!) in need. Thank you to the following volunteers: Project Leaders – Tom Zakrzewski and Chris Dulge, Daniel Kruzic, Barbara Ellis, Betty Efird, Maureen Burnett, Kelly and Greg Schwartz, Jonathan and Melissa Wilcox, Phil, Joyce and Jennylynn Kesler, Belinda and Jeff Rose, Shannon Dwyer, Zach Swanson, Noelle Phillips, Jay Potts, Allie Aylward, Joella Baumann, Blake Rockel, Sara Lovitt, and Stacy Schafer. 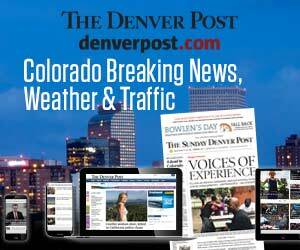 For more information on The Denver Post ACTS, click here.